Sad that Samsung’s rumored S-Cloud didn’t appear on the scene? Well the arrival of the company’s new Video, Game and Music hubs might heal the wounds. Rather than a unified service, the Galaxy S III will have access to three separate stores that will offer an alternative to Google Play. We spent a few minutes having a play, and you can see what it’s like after the break. 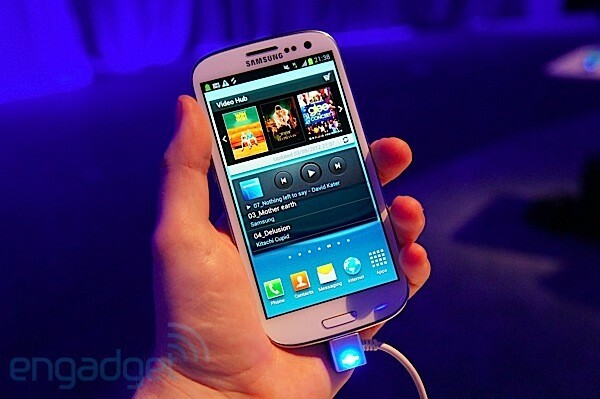 Samsung Game Hub, Video Hub hands-on (video) originally appeared on Engadget on Thu, 03 May 2012 17:36:00 EDT. Please see our terms for use of feeds. Inventive scribbler Steve King — no, not that one — is working his fingers raw trying to raise $25,000 on Kickstarter. 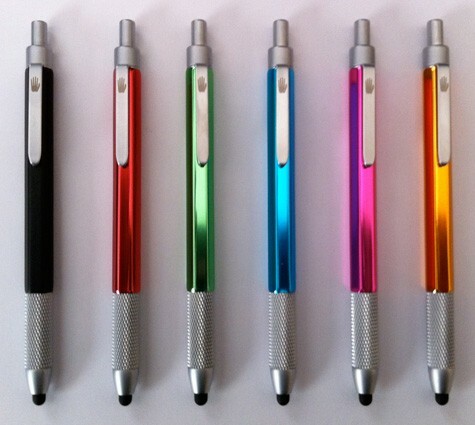 His project, the colorfully-named Hand Stylus, works with all your capacitive touchscreens, sports a retractable nib that rotates to avoid uneven wear, and even sticks to the magnet on an iPad. While it can’t replace the need for natural digits, it could potentially come in handy while taking notes, sketching, cooking, or experiencing frostbite. Skip down below the break for a video if you need more convincing, or you already lost the one that came with your Galaxy Note. Insert Coin: Hand Stylus for touch devices originally appeared on Engadget on Thu, 03 May 2012 17:19:00 EDT. Please see our terms for use of feeds. We’re here on the floor at the Samsung Galaxy S III launch and we’ve just managed to get some alone time with the unit to get some benchmarks. Now, let’s stress that the handset is a pre-production model, so we can’t take these as gospel truth, but it’s a good indication of how powerful that Quad-Core Exynos really is. The only thing that isn’t working is SunSpider, since our results just didn’t tally with the other tests available, so hopefully it’s just a quirk. Head on past the break for a dose of nitty and a sprinkling of gritty. 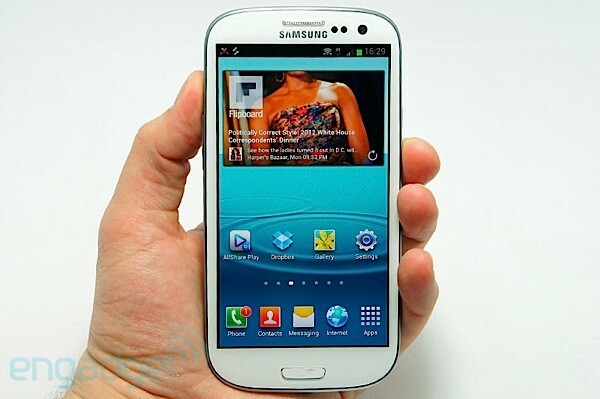 Samsung Galaxy S III gets benchmarked, shows plenty of promise originally appeared on Engadget on Thu, 03 May 2012 17:01:00 EDT. Please see our terms for use of feeds. This entry was posted on May 3, 2012, 5:50 pm and is filed under Mobility. You can follow any responses to this entry through RSS 2.0. Both comments and pings are currently closed.